"Paul helped me get my finances in order"
and I didn't like the way that felt"
“Patsy, I just wanted to say thank you so much for the coaching you gave me , I am really amazed. When I first met with you, I thought it would be really hard to solve my problem. As I told you then, I am a very helpful, caring and supportive person. But when I went from my job managing 3 people to my new job managing 6 people I was totally overwhelmed. I began to resent my employees and I didn't like the way that felt. You helped me understand that in the past I was able to do my employees work for them in areas where they needed help, so I was comfortable in this style. But when I got this new job, I manage more people and of course in addition to management I have other responsibilities as well. So I was doing my employees work until 5:00 o’clock, then I would start on my own work and work until very late at night. When this became too much I started to feel angry at my employees. You helped me understand that I could still be a caring and supportive person while shifting their responsibilities back to them. I did this every day. As soon as I was approached by an employee, instead of taking their responsibility, I would listen and then ask them exactly what part they were having difficulty with, I was happy to find in most cases they only needed a little assurance or a little information I could easily provide them with. I expected some resistance, but happily it came only from one person and that didn't last long. 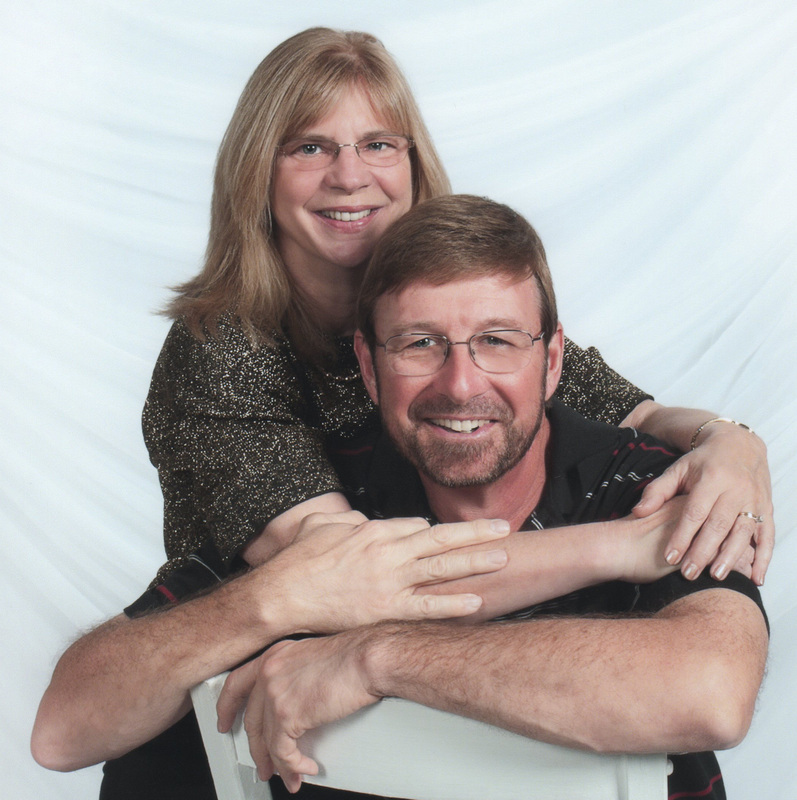 "I have grown so much as a person"
"The tools that Paul and Patsy have given me have absolutely transformed my life. In the short time that we have been working with them my relationship and my life has made a complete 360. There truly isn't words to describe it, I feel like a whole new person. The information, knowledge and understanding that I have gained from Paul and Patsy has fixed my relationship and given me more drive to succeed than at any other time in my life. The first and maybe most important thing I learned was the fundamental six human needs. Not only did I learn what they are, I learned what they mean and how to use them. By gauging my needs and the needs of others I can change my relationships, friendships etc.… The proof is in the pudding, since learning Lisa’s six human needs I have become aware of what’s most important to her. For example she scores very high on love and connection and variety, so I know now to meet these needs for her and by doing so I am making her feel emotionally fulfilled. Another amazing thing I learned was how to express myself better. Communication is more than just speaking to another person more often than not it's listening. Communication is about giving and receiving. When you're speaking your giving. When you're listening your receiving. The more you talk and listen with your heart and soul, the more meaningful your conversations will be and the more fulfilling your relationships will be. By gaining this knowledge I have begun to communicate more effectively with Lisa and also others around me. I have gone from being in a shell to becoming an almost extroverted individual. I have grown so much as a person I could literally write a 20 page paper. With Paul and Patsy’s help I have learned to be aware of my emotions, not only feeling them and allowing them to run my life, but analyzing those emotions to understand them and the meaning they are trying to tell me. This allows me to understand the message and act appropriately. Also if I find myself in an emotion that I don’t like or want to feel at a current time Paul has taught me how to change my emotional state. This is a very powerful tool, this allows you to feel the feelings that I wish to feel. I could go on and on about the coaching and the coach training I received from Paul and Patsy, it was and is absolutely priceless. I know that without their help my relationship would have never lasted. My outlook on everything has changed. This was another thing Paul and Patsy helped me to change, limiting beliefs and negative self-talk and in doing so I realize now that all things are possible. changed the way I do business"
"My business was running and ruining my life"
"I started to feel like I was a bad parent"
"I just wanted my seven year old son to pick up his #@&! toys and then I would feel guilty for feeling so angry with him. The problem was nothing I did ever worked. My son and I would get into fight after fight after fight and nothing would change and the toys would still be all over the place. And I started to feel like I was a bad parent. With only a few questions Patsy was able to realize what was happening and was able to help me see that my son didn’t understand things the way I understood them. If I wanted my son to pick up his toys I would need to communicate to him in a way that he would understand and in a way that he would follow through on what I was wanting. Even though I thought I was being clear with my son when I was telling him to pick up his toys, it was not very clear to him. In fact it felt overwhelming to him and that’s why he would sometimes have a temper tantrum and yell back at me, “That’s unfair! !” And the fight would escalate up from there and we would spend more time arguing over his attitude then talking about picking up the toys. In my very first coaching session with Patsy I learned that my son doesn't think there is anything wrong with his toys being all over the place. In some ways his toys are his world and he wants his world to be everywhere he is. Just knowing this helped me see things the way he sees them. I also learned that it takes a lot more time and energy to argue with my son about his toys and his attitude than it does to actually get him to pick them up and put them away when I communicate to him better. Children understand body language more than they understand words. What I used to do was tell my son to pick up his toys and then walk away thinking he would do it. I would come back a little later and nothing would be done and I would be upset. Patsy helped me understand that there are two parts to getting a child to do anything we need them to do. Getting them started and getting them to follow through. Now I realize that when I walked away I was telling my son that what I was saying really didn’t matter and maybe he didn’t have to do it. Now I tell him to pick up his toys and spend a few moments watching him do it. I take the same time to love on him and talk with him in a positive way. Patsy called this, "Parenting in the Moment." What used to be a problem and a frustration has become a special mommy and son time. In order to get my son to do something long term I need to encourage him in what he is doing until it takes root. Patsy called this, "Show and Tell" I need to show him what I want him to do and then tell him what a good job he is doing. Patsy says that when we show children what we want them to do and then encourage them while they are doing it in a short while they will want to do it themselves and this is exactly what happened for me. and how to access those programs was priceless"
I found it was easy to talk to you, as you didn’t judge or criticize me. The questions you asked and your gentle guidance helped me see my situation as it actually is. I was so amazed to learn of the “Crazy Eight” pattern I was using that caused me to vacillate between anger and despair, using up all my energy without accomplishing anything. Your extensive knowledge of my daughter’s disability and the special programs available to her and how to access those programs was priceless.